Hi. 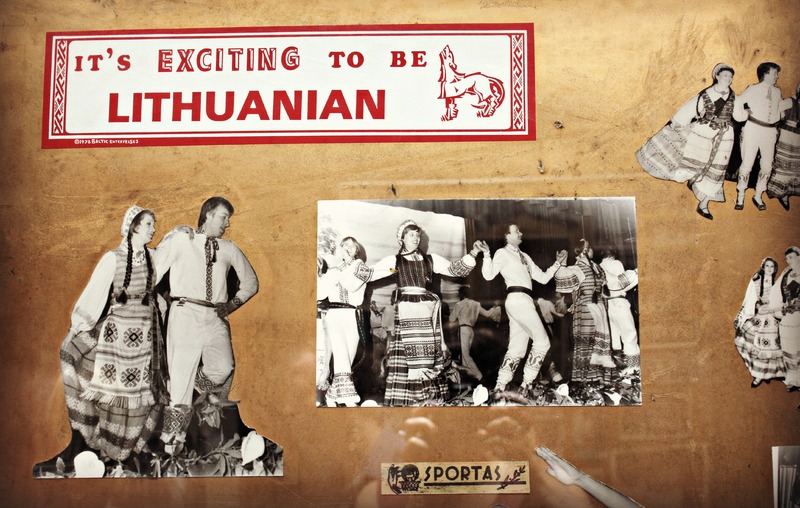 I’m Iolanthe and I’m Lithuanian. A bit Lithuanian. 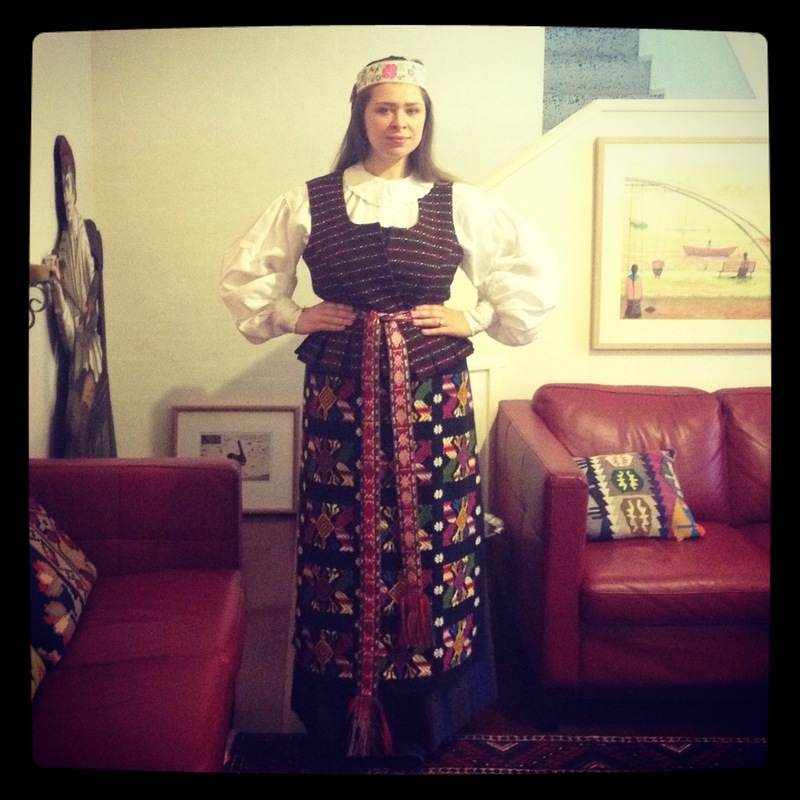 Lithuanian enough? Who knows. Is there a recovering Lithuanian’s club? 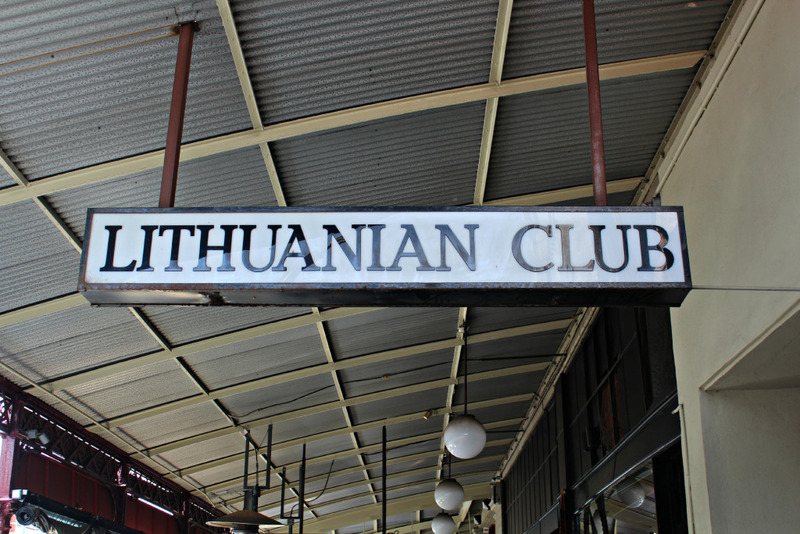 If so, I’ve found the place where Aussie-Liths go to celebrate their folkloric customs – the Lithuanian Club in North Melbourne. 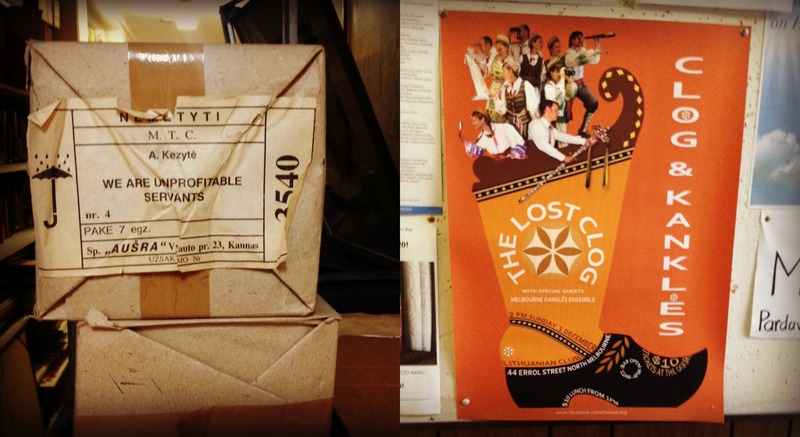 Encouraged (read: reminded of the times I forced my folks to attend Carols by Candlelight year-on-year) by my parents to come along and see Lithuanian crew ‘The Lost Clog’ perform traditional music with a modern comedy twist, I wasn’t sure what would eventuate. Result? A little cringey, a little cute, and curiously more familiar than I expected. Lithuania is a small country in northern Europe, surrounded by the nations of Latvia, Belarus, Poland and Russia. A Baltic nation, it has a more Swedish sensibility than an eastern-bloc one. Devoutly Catholic (once intensely nature-worshipping and pagan), the Lithuanians are proud of their heraldic history. The icons and patterns on their ceremonial garb and decorations present a mix of motifs – and as you can see, they’re beautiful and colorful. It has a population of only 3 million – which makes for a lush nation rich with tradition that is around the size of Melbourne. Many of the songs that The Lost Clog performed (in amongst a Borat-style comedy patter that explained the meaning of the folksongs sung mostly acapella) have a dissonant and medieval sound. But what happens to a culture upon migration? Whether it’s Australia, the UK or the USA – small cultural groups and clubs keep traditions from the ‘old country’ going – providing in their first instance a place for people of that culture to meet, feel comfortable, converse in their own language and enjoy the customs of their homeland. It also allows the possibility for matches to be made and families to inter-marry, keeping traditions going and communities joined. Being of mixed heritage (Lithuanian and northern Greek/Macedonian), I’ve observed the way that cultures replicate themselves in adopted nations. Dancing, music, food, feasting – these are all wonderful ways to celebrate, share and remember a culture. I’ve always found ethnic community groups foreign to my own identity, coolly inaccessible. Myself, I can’t imagine wanting to replicate culture from a time and place in its static form, year-on-year, generation-on-generation. I don’t imagine there’d be a high uptake on ethnic community groups outside of a directly familial introduction. What is developing culturally in the nation of origin which community groups seek to replicate and remember may be entirely different from the performances and traditions celebrated. Values in the old country change, yet migrant groups hold tight to the traditions (which extend into family values, beyond the clogs and weaving) which may not be useful or helpful. 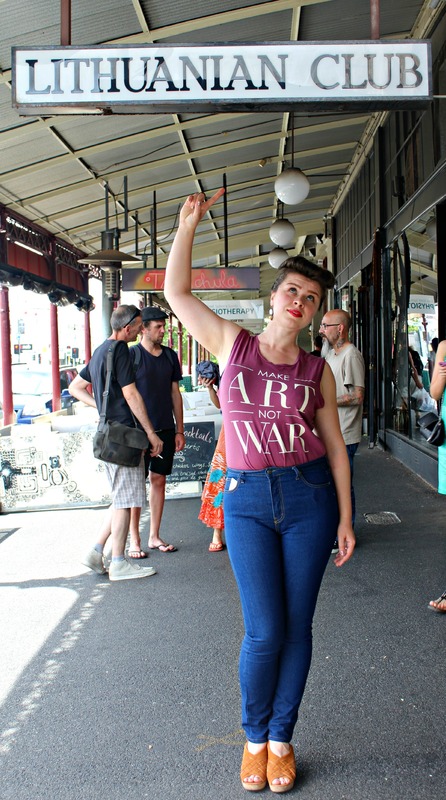 I am both charmed by ethnic performances, yet simultaneously see them as kind of museum automatons – a specifically Austalian-Lithuanian product. There’s nothing wrong with that. It is just foreign and strange to me personally. When looking at the physical features and hearing the music of a culture that runs through your own veins, you look for similarities – clues to your own self. I’ve read recently that genetic memory exists. 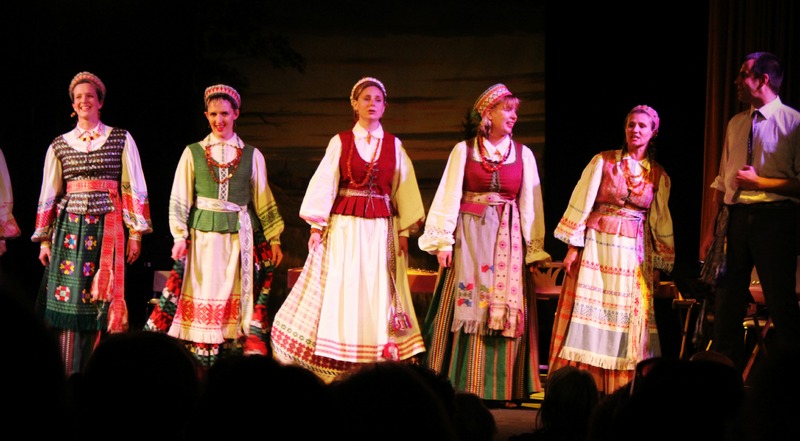 Perhaps that’s why I enjoy Bulgarian and Slavic choirs so much, and am so interested in both exploring the creation of culture (coming from European nations where identities are continuously revised) and cooking pork and cabbage. Maybe we’re all one costume change away from culture.